Four years now she’s watched and tagged along as older sisters came and went each week, disappearing into a cloud of pink and lavender and green. They would slip on pink slippers and leotards of pink or purple or black. Once a year they brought home delightful costumes and she would twirl around in them for months to come. Four years she’s waited for her day, her turn, to enter this world of pink fluff. On Thursday her time finally arrived. Countless times she reminded me, “Today’s my first day of ballet!” At noon she asked if she could get ready; class didn’t start until 4:30. Excited doesn’t describe her emotions. She nearly floated into the studio, not needing me to walk her. She’d seen this walk countless times, she knew exactly what to do. Another ballerina has been born in our family. 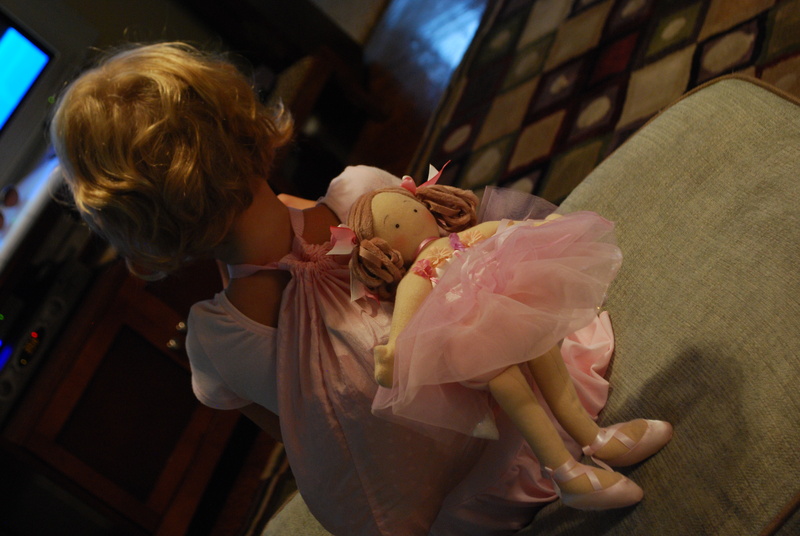 And I give thanks for another ballerina, more pink fluff and ballet slippers, and all that these girls are to us. I give thanks for all this and more….